The Haunted Castle comes alive this Halloween! 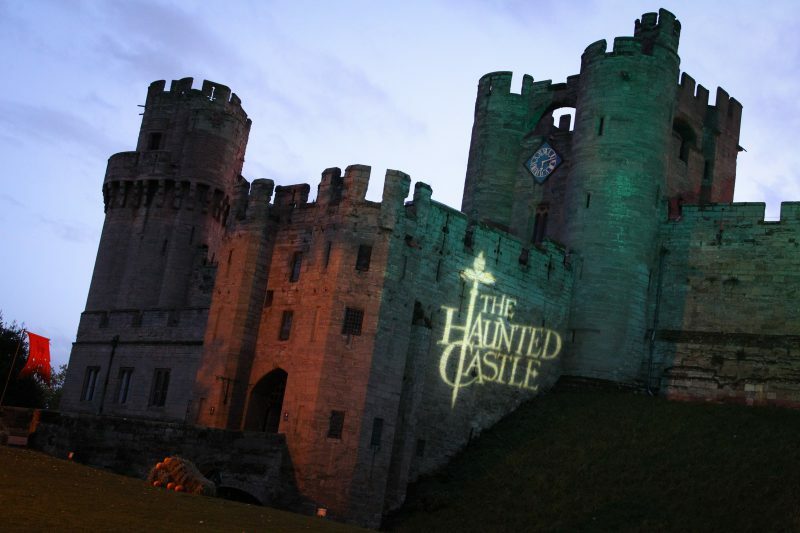 (October 20th – November 4th) With wondrous witches, Horrible Histories and fearsome attractions, experience Warwick Castle’s biggest ever Haunted Castle event! What is the Haunted Castle? Warwick Castle, located in the heart of Shakespeare’s England, fully transforms from heritage castle with awe-inspiring family shows, into the Haunted Castle that promises fearful levels of fun for all ages during the day (20th Oct – 4th Nov open until 6pm) and on selected dates (25th Oct – 31st Oct), the fright factor is cranked high as the Castle remains open until 10pm and is filled with even more scares! This year promises to be the biggest Haunted Castle event ever with brand new shows! The Halloween attractions also now split into three scare categories: Scaredy Squires are spooky fun for the little ones and families that are open during the daytime (and extend into the evening). Daring Dukes offers unsettling and creepy fun for the visitors to the Haunted Castle. Brave Knights offers absolutely terrifying evening attractions for only the bravest of warriors. What are the Haunted Castle Attractions? There is a full day (and evening on selected dates) itinerary of spooky attractions to experience within the walls and grounds of the Haunted Castle including live actors roaming the grounds, giant raptors of the sky in our themed Birds of Prey Show, our Wizard School, the mighty Trebuchet siege machine, the Haunted Hollows walk-through experience, the creepy House of Wax, the Castle Dungeons, a terrifyingly fun stage show and in the evening, we open up the Outbreak 1369 experience along with Fire Jousting! All the attractions and shows are included in the ticket price apart from the Castle Dungeon, Escape room and Séance where additional charges apply, but provide a terrifying experience that you’ll never forget! For first time visitors, what is your must-see recommendation? Families can have a fun day of Halloween festivities, but new for this year is our Wizard School – where kids can learn to cast spells like the brazen wizards and witches of ages past! For the young adults and more adventurous types, we’d recommend Outbreak 1369, a walkthrough fear experience where you are taken back to the year 1369 and a crippling spell of the plague has engulfed Warwick Castle – Can you escape the plague ridden characters of histories past? Remember – not all walls were built to keep you out! The Haunted Castle is a mixture of indoor and outdoor events, what practical tips can you offer to visitors? We all know that October weather can be a bit temperamental! So make sure to dress up warm with plenty of layers, bring water proof clothing just in case and comfortable shoes as you’ll be exploring everything the Castle has to offer! What are your favourite moments from previous Haunted Castle events? There are so many wonderful moments that come to mind when we think of the exciting atmosphere that only the Haunted Castle can provide, from the Princess Tower’s first transformation into the Witches Tower. Much to the bemusement of our young guests! The incredible stunt-filled extravaganza that the Fire Joust turned into and adults running out of the Dungeons, laughing and screaming! There’s something for all ages to enjoy! Don’t miss out on Warwick Castle’s Haunted Castle event for 2018, tickets on sale now!